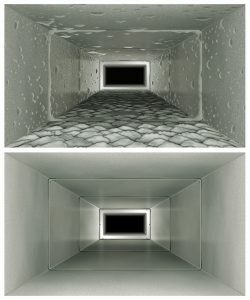 Duct Cleaning | Clean Air Act Inc. 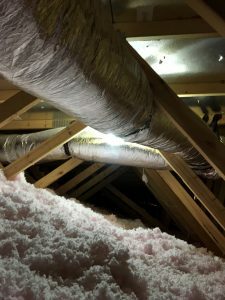 Although you can get duct cleaning any time of year, we find it especially beneficial to have it done in winter (and preferably before winter). Spring is here, and for a lot of homes in the area, that means spring cleaning to shake the dust and the dirt off of your furnishings. But while you focus on getting the bulk of your house clean, there’s often one key part that goes overlooked: your ducts, which carry conditioned air from the heater and the air conditioning system through the various rooms of your house. Why Is Visual Aid Equipment Used in Duct Cleaning? Most people think of duct cleaning as a quick vacuuming. But professional duct cleaning involves a whole lot more than simply cleaning your registers and removing the visible dust and dirt in your ducts. Your ductwork can run long and deep, and it is in these deeper areas where dust and dirt can really accumulate and cause problems for you, your family members and your home. However, when you hire the trained experts at Clean Air Act for professional duct cleaning in Gresham, OR, you can rest assured that your duct cleaning will have great results. Why? We’ll explore this more below. One of the reasons professional duct cleaning has excellent results is because of the kinds of tools that are utilized in the service. Not only are professional-grade and HEPA vacuums used, but so are pneumatic tools and visual aid devices. You may be asking yourself, why use visual aid equipment? The answer is because while there are access points in your ductwork, it isn’t possible to see everything all at once – unless you have video equipment. Video equipment allows the technician to see every nook and cranny of your ductwork so that no area is missed during the cleaning process. The video also gives the technician the ability to see problem areas and handle them accordingly. Duct cleaning isn’t just about removing dirt, dust and contaminants in your ductwork, although this is a big part of the process. 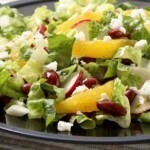 It is also about helping to improve your indoor air quality and take excess stress off your HVAC system. When you have too much dirt and dust in your ductwork, it can restrict air flow; this creates an imbalance in your HVAC system and can lead to operational issues, malfunction and possible breakdown. Excess dirt and dust can also lead to the development of mold, mildew, dust mites and fungi, all of which will blow directly into your living spaces. Professional duct cleaning removes the dirt and dust layer that can lead to these problems. It’s recommended that your ducts are cleaned every 3-5 years, so if it’s time to clean your ductwork in Gresham, OR, call us today! Posted in Duct Cleaning | Comments Off on Why Is Visual Aid Equipment Used in Duct Cleaning? We are very excited about the change in weather – how about you? As a show of our excitement, we would like to share with you our Spring Newsletter. Click the link to find articles on Duct Cleaning, AC Tune-Ups, a promotion, a delicious spring recipe, a “did you know” fact, and a highlighted testimonial from one of our valued customers. Happy Spring! Posted in Air Conditioning, Duct Cleaning | Comments Off on Spring Has Sprung!